This family is frozen in fear and today they will be freezing for real when it gets down to 50 degrees and they’ll be sitting in their cold kennel soaked after it gets washed down. They’re in a small rural shelter in an outdoor kennel and they stand no chance there- they need our help getting out. 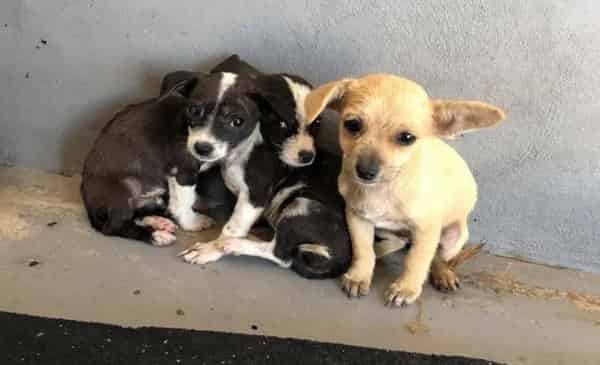 This tiny chihuahua family needs a foster commitment by 11am today so they can reserve a spot that’s coming up from border to San Antonio. We will need to find them a ride from SA to Dallas but that’s only if we can get a committed foster or rescue in Dallas. Please help secure them a place so they don’t get left behind. Marissa Belle is the contact, if you want to help please messages me by click here. 1 Response to "This family is frozen in fear and today they will be freezing for real"